Do not adjust your set. Your amplifier or headphones are not suddenly broken. If you are listening to the vinyl release, the record player’s needle is not necessarily worn or full of lint. 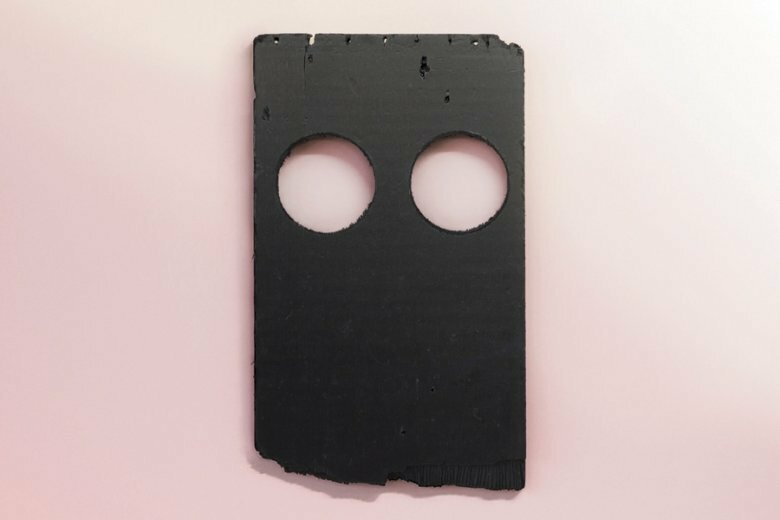 Though that’s just what “Quorum,” the first song on Low’s new album, “Double Negative,” will have you believe. And then a bit of song No. 2, “Dancing and Blood,” as well — but not its extended “ocean liner foghorn” ending — and then for sure parts of the fourth, fifth and seventh tunes, and so on. Recorded, like its predecessor, “Ones and Sixes,” with producer and sonic shifter BJ Burton at Bon Iver’s April Base studio, “Double Negative” has some of the same characteristics, but squared: gentle melodies given a rough treatment, heavenly harmonies often obscured though occasionally unsullied, and lyrics where sometimes your guess is probably as good as what’s being sung. “Leave my weary bones and fly,” Mimi Parker sings, most appropriately, on “Fly,” the third song and the first where the sounds are less distorted if not less disquieting. “Tempest” feels like being inside a crashing car in slow motion, hoping that it’s just your hearing that’s been damaged but that rescue services are on their way. “Double Negative” is a record of its time but can’t be faulted if we can hardly wait for these times to pass.